Did you take a cold shower this morning? Taking a cold shower because your water heater is not working is one of the most irritating ways to start a new day. 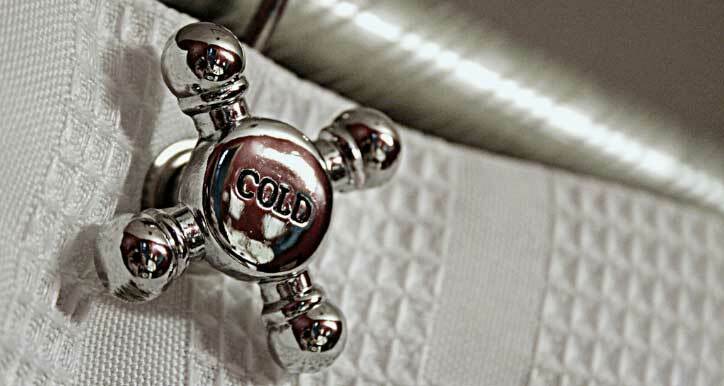 There is a plethora of reasons why your water heater is not functioning correctly. In most cases, it is a simple fix. 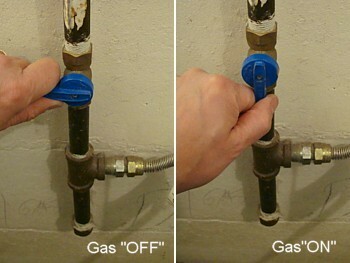 These simple fixes might seem silly, but plumbers have been called to solve these issues countless times. There are a few things you can check before calling a plumber, which could save you some money and they only take a few minutes to check. Most homes have one of the following types of water heaters: storage tank electric, storage tank gas, tankless gas or electric. Start by checking to make sure the gas valve is on. While this is uncommon, we have seen where one of the kids turns the gas valve off. Next, check to see if the pilot light is lit. If the pilot light is not lit, you can relight it. If you have an older water heater which does not have an electric igniter, click here for instructions. If you have a newer water heater, you should have a pilot light igniter. To determine if you have a pilot light igniter, look at the thermostat on the water heater and see if there is a large red button. If there is a large red button, then you are in luck. Follow these steps to relight the pilot light. If you have successfully relighted your pilot light, you should wait a couple of hours to allow the tank to heat up. While you are waiting, you will want to periodically check to make sure the pilot light stays lit. If the pilot light goes out, there is a chance that the Thermocouple needs to be cleaned or replaced. The thermocouple is a safety device, which prevents gas from flowing if the pilot light is not lit. Thermocouple cost around $20-40. For the average homeowner, it is best to have a plumber replace this. If you are an avid DIY’er here is a link on explaining how to replace it. Some newer units may NOT have a standing pilot light. These types of water heaters use an electronic ignition to light the gas. This type of water heater will need to be plugged into a 120V wall outlet. If your water heater plugs into the wall, then it most likely has an electronic ignition. In the event you have this type of water heater and are experiencing no hot water you will want to check to make sure it is getting electricity. There should small indicator light on or around the thermostat. If the light is on, then obviously there is electricity. outlet. Check to ensure the GFI has not been tripped. Finally, you will want to go to your breaker box and check to see the circuit breaker has not been tripped. If you have warm water but not hot water, check to make sure the thermostat is set to the desired temperature, around 110F to 120F. Sometimes the get turned down on accident. An electric water heater uses heating elements to heat the water. Typically, there are two elements in a tank water heater, one at the top and one at the bottom. If there is no hot water, you will first want to go to the circuit breaker box and make sure the breakers have not been tripped. If they have been tripped, switch them back on. If the breaker immediately trips again, there is an electrical issue which needs to be addressed by a trained professional. If the breaker has not been tripped, then there is a good chance one or both of the heating elements is bad. If you get about 4-5 minutes of hot water then it goes cold, the bottom element is bad. While a DIY’er can accomplish replacing these elements, it is best to leave it to the pros. Water and electric do not mix well, and that is what you are playing with. A tankless water heater has a lot of moving parts, and there are more things which can break then on a tank water heater. A couple of quick checks before calling a plumber. First, check to make sure the unit has electricity. Most units will have some sort of led light on the outside. Check that it is plugged in, the GFI has not been tripped, and the breaker has not been tripped. Next, you will want to check to make sure the gas value is turned on. Most of these water heaters do NOT have a standing pilot light. They use electronic ignition to light the gas. Next, turn on the hot water. Listen to see if the unit is running at all. It may start up, and then immediately stop or it might not start up at all. Many of the new models will have a display panel on the unit or the remote control. The display panel will show an error code. The codes are provided to help troubleshoot why the unit is not functioning correctly. You can either search the internet for the codes or contact the manufacturer support line, and they can tell you what the code means. Almost all the units we review have a thermal overload protection switch. Check your owners manual to see if the switch has been tripped. A couple of easy reasons why your unit might not be working correctly. If you have hard water and have not flushed the unit in a couple of years, there maybe scale buildup. Scale build up is from the lime deposits in the unit. You should have your unit flushed of these deposits once a year on average. Also, the electronic ignition may not be dirty and not functioning correctly. Finally, the water filter may have become clogged and not enough water is going into the unit to be turned on. These are some of the more common issues, but there could be many more things. Due to the complexity of tankless water heaters, we strongly advise calling a plumber to service the unit. Electric tankless water heaters are similar to gas water heater without all the moving parts. The only easy thing to check is to make sure the breakers have not been tripped. Also, you will want to read the owners manual to see if there is a reset switch that you could correct. Other then that you will want to call a plumber to have the unit looked at. Just because there is no hot water, doesn’t mean you need to run out a call a plumber or worse yet, replace the unit. Hopefully, some of the above-mentioned things solve your problem, and you can save some money. If you have not hot water then there is a really good chance your water heater has issues. We look at some of the common and easy issues on why your water heater might not be working correctly. Some these problems are easy things the average homeowner can fix themselves, saving them time and money. Where should I install a Tankless Water Heater?